I work hard to provide my clients with the most positive real estate experience possible. Whether in the buying or selling process, this website offers a wealth of information to help you. 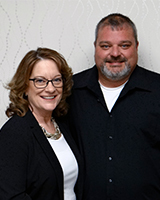 Matt Davison, is a life long Columbia, MO Native and with his extensive knowledge of Columbia and surrounding areas, he can help you with anything real estate related. His goal is to assist people in achieving the American Dream. Looking to buy or sell today? Give him a call and let him show you how easy it is to make that happen.